The grand opening of Austin's exciting and elaborate new toy museum kicks off Saturday, April 16, 2016. 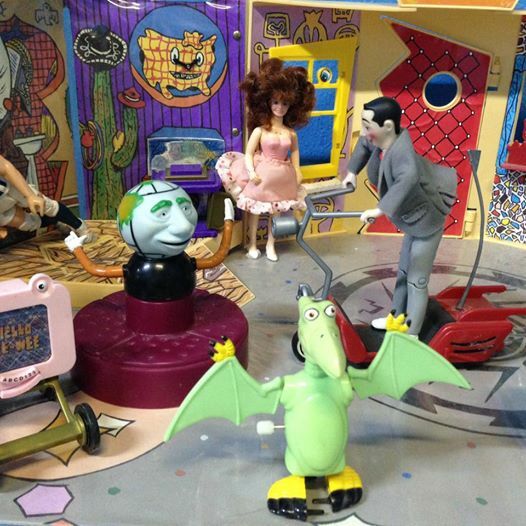 The Austin Toy Museum, located at 1108 E. Cesar Chavez St., will feature extensive varieties of classic, rare, and collectible toys, ranging from private collections, life-size board games, guest artist work including Hello Kitty and Ghostbusters, and an assortment of exciting events. After three years and thousands of hours of effort, they are opening their doors to the public. The Austin Toy Museum is a great, rare addition to the city, because it is one of very few toy museums available for public-view worldwide. According to the owners, Austin was a prime place to host such a unique collection. The Grand Opening will celebrate nostalgia, cosplay, games and more and is hosted by HeroCon. "Some of our events will include life-size board game nights for games like Clue, Saturday morning cartoon days, and of course we have something very awesome planned for Halloween...but I won't give it away yet." Museum Director Caleb Zammit said. 'Funding for the project has mainly come from the board and a few donors looking to make the inspirational toy gallery a reality. Being a non-profit we rely on the community and will constantly need donations and apply for grants to help keep the museum alive and thriving. The inspiration for the toy museum mainly comes from the desire to share my collection with others, even early on as a child I imagined a placed to display them for the public." Zammit said Tuesday. The Austin Toy Museum is hosting it's grand opening on April 16, 2016 from 10 am-7 pm. A separate evening fundraiser is taking place from 8pm-12 midnight. For more information or to purchase tickets to either event, please visit www.austintoymuseum.org, or call 512-220-9582.